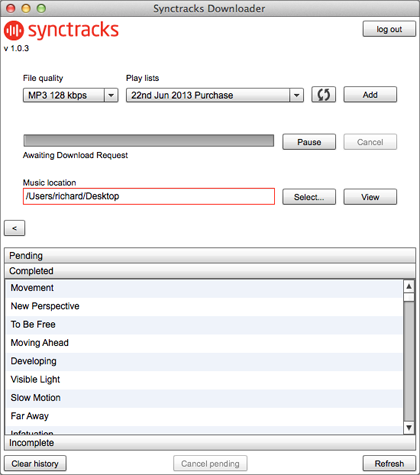 Requirements: As part of the ecommerce music delivery platform Synctracks wanted users to be able to easily download multiple high quality audio files. Solution: We created a cross platform desktop application with Adobe AIR which the user can install on their Mac or PC. Via local Flash communication it is then possible to launch the application from within the Synctracks web site. The application communicates directly with the web site and automatically downloads any queued files to the users desktop. Our take: Initially we investigated zipping the files on the server and allowing the user to download the music files that way. However this quickly became unmanageable due to the size of the audio files and the clients requirement to have unlimited numbers of files queued. Using Flash to enable browser>app communication gave a uniquely smooth user experience.